She sets my heart in a whirl. Oh, listen, ain't that music fine?-Break. They're serenading little Katy Ryan.-Break. I can't marry Katy Ryan? She promised to be here. 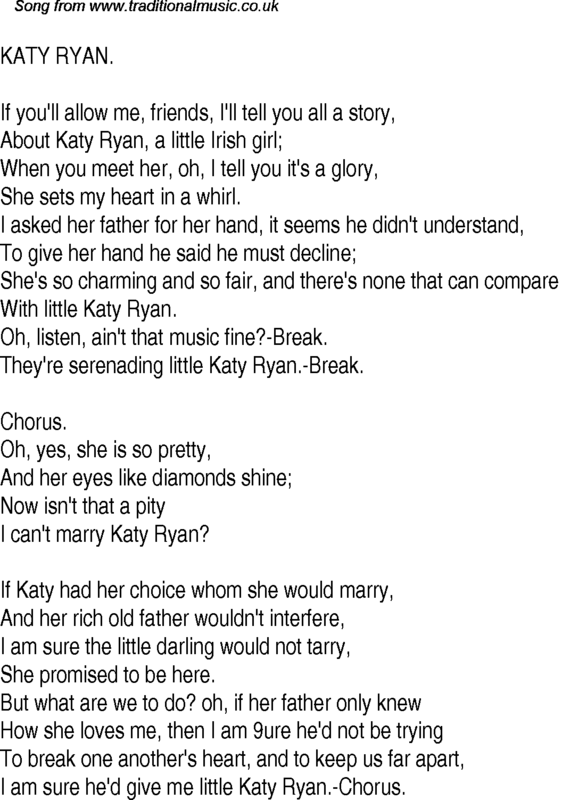 I am sure he'd give me little Katy Ryan.-Chorus.